Our Local Ocean's Bounty - She Loves Surf! Our Local Ocean's Bounty - She Loves Surf! Have you ever been to Pike Place Market in Seattle? I have, several times, and it’s remarkable. I’ll never forget the time I was on a leisurely trip to Washington state with my mom. We visited many sites, but strolling around Pike Place is one of my favorite memories. We bought a large piece of “fresh smoked” salmon, which neither of us had ever even heard of. I knew smoked salmon as the slightly slimy stuff atop a bagel, accompanied by cream cheese, onions and capers. Fresh smoked salmon is like nothing else I’ve eaten. The smokey flavor is intense, the fish is moist (but not slimy), and it MELTS in your mouth. My mom and I grazed on the large piece of salmon all day, content to eat nothing else. So why am I writing about Pike Place when I live in San Diego? I bring it up because as some of you may have heard, San Diego is finally joining other coastal cities and will soon be offering a local fish market where fishermen can sell their goods directly to San Diegans and tourists wanting to sample the local seafare. Being that I was once a fisheries biologist, I’m always asked where to buy the best fresh fish. My answer has been something like this: “Well, there’s Catalina Seafoods that has some local stuff, but lots of imported stuff too. There’s Point Loma Seafoods that has amazing Ahi tuna sandwiches, although much of their fish is not from here. Ummmm, there’s not really a great place to buy really fresh fish, so if you want really fresh fish, go fishing”. A local fish, the starry rockfish (Sebastes constellatus), photographed offshore of San Diego. NOAA. Rumors of a local fish market have been stirring for years now, and it appears that permitting and other logistical road blocks were the culprits for such a long duration of time before the appearance of such a market could take place. The new Dockside Fish Market will be located downtown at the Fish Harbor Pier (between the USS Midway Museum and Seaport Village) beginning August 2nd. It will be open every Saturday for the next year. So you can think of it like a Farmer’s Market from the sea. You can go meet the fishers who catch the fish, ask them where it was caught, and maybe get to know a bit about the hardworking men and women (but mostly men) who catch fish in our local oceans. You may be asking yourself why it’s important or of interest for anyone to buy local fish. There are so many reasons! For one, fresh fish just tastes ridiculously better than anything that’s been put on ice for more than a day. Buying direct from local fishers will save you money, since there is no store/middleman involved. By buying fish caught in the city you live in, you are reducing the amount of natural resources used to bring that fish to your dining table. A large amount of the fish caught locally is shipped elsewhere to be sold, and a large majority of the fish found in markets in San Diego is fished elsewhere and sold here. Does this make any sense? Not really. It’s supply and demand. If local fish isn’t in demand here, it will be thrown on ice and shipped to where it is in demand. If people living in San Diego are demanding fish species that aren’t caught here, it will be caught elsewhere, thrown on ice, and shipped here to be sold for relatively high prices. There is so much more detail I could go into here, but I don’t want to sound preachy and I only want to let readers know why I am excited to have the opportunity to buy local fish. That said, I hope many San Diegans and fellow surfers/ocean lovers support this market, and enjoy the local natural bounty of fresh fish, urchins, crab and whatever else the sea may offer us. 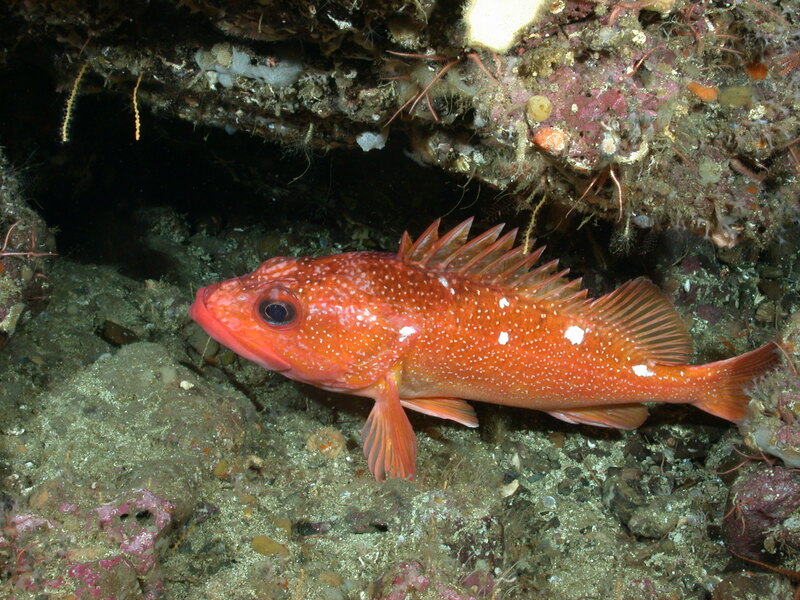 Here is a list of my favorite local seafood: various rockfish, lingcod, halibut, kelp bass (a.k.a. calico bass), squid, various crabs.